Sometimes it takes everything in your powers to build a wonderful website that will grab world attention. Sometimes you should put in the hard yards in order to get something that will be worthy of your efforts. The collection of best WordPress themes includes the most red-hot templates that are widely used this fall. Without a doubt, this options will push the limits of your imagination and you will no longer think that it takes a lot of time to build something worthwhile. Actually, to start with, you certainly need to get familiar with the reasons to choose WordPress as the CMS for your future online-project. The WordPress software is completely free and, what is more, you don’t need to pay any license fees. The arrays of people are familiar with WordPress. The great part of web-developers uses exactly this CMS to build a fully-functional and reliable website. It means that you will always have someone to ask questions about possible issues and get clear answers. There is a great bunch of plugins for WordPress. You will be definitely surprised what kind of power is hidden behind this word. A powerful plugin can help you to develop a dazzling eCommerce website and make the most of SEO. 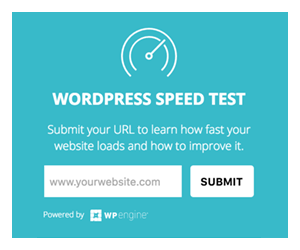 WordPress provides its users with a quick start. It won’t take long to make your website be displayed on the various screens all over the world. All WordPress websites are fully-responsive which means that it will have a stunning look on all mobile and computer devices. So, there is no need to bother your head with building various versions of one single website. All themes presented below are designed by TemplateMonster.com that has recently turned into a powerful digital marketplace. You can find a plenty of premium themes for various purposes on the website and, without a doubt, you will strike something to your own liking. Keep in mind that number of templates is growing every single day and it’s possible to discover a great variety of WordPress themes for fashion, education, business and so on and so forth. Sometimes the only thing that you need to do in order to convince people of the high-quality of your home services is to create a nice-looking website presenting them. JohnnyGo combines a thought-out design and a surpassing functionality. 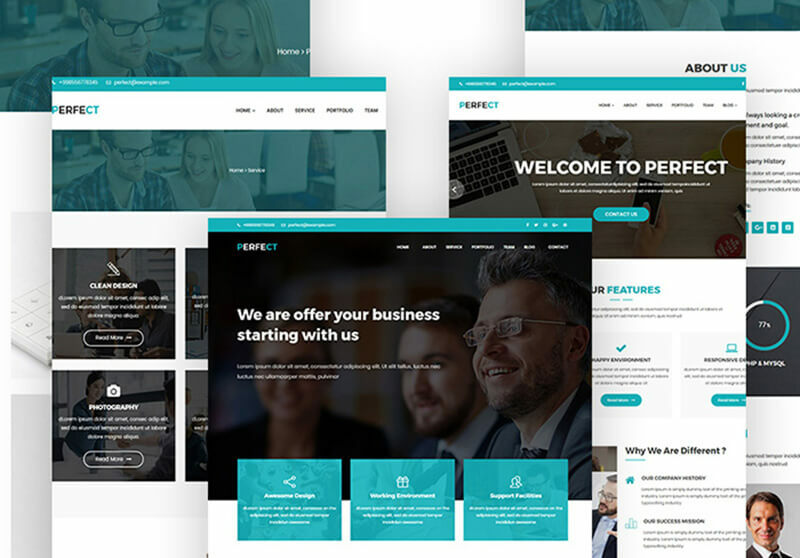 In order to show a professionalism of your team, this theme comes equipped with such plugins as Cherry Services, Projects, Testimonials and Team Members. In addition to this, you get a powerful Elementor page builder that works in a live-mode. It means that you won’t burn daylight. You will cope with the task of the website customization in a flash. The promotion of the home services has never been so beneficial and impressive! Halloween has passed by, but pumpkins still scream in the dead of night. It means that you definitely need to fix your eyes on this theme designed in a mix of black and orange colors. In order to make people feel the mystery in the air, this template comes with 7 magic headers, 3 unusual footers and 4 enigmatic blog layouts. Furthermore, you get a stupendous collection of Google Fonts full of stunning typography variants to make your online-project even more striking. 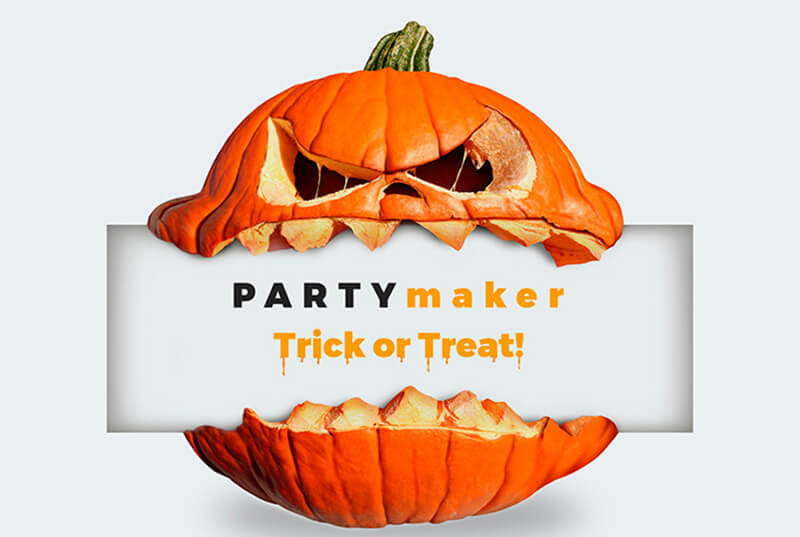 Throw a terrifically amazing party together with this thrilling theme! Have you collected such a huge amount of various receipts that your desire to share them with others grows in direct ratio to their number? Narya will assist you in building a tasteful cooking blog and help you to create the most creative one on the Internet. In order to present details of your excellent dishes, this theme comes equipped with 6 dazzling types of galleries, fascinating typography and stunning sliders. What is more, you get 4 blog post types as a recipe, gallery, standard, video, audio and revolution slider post. 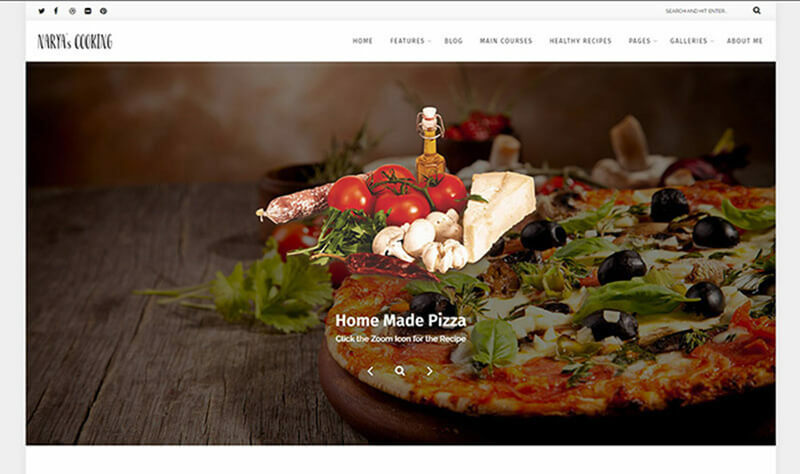 Create the most savory website using this delicious template! 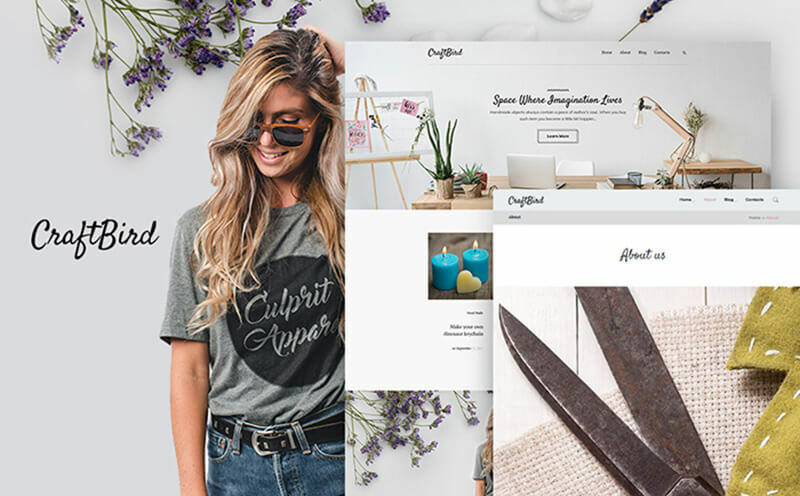 If your company needs a little nudge, this business services WordPress theme will provide you with a gorgeous promotion on the Internet. 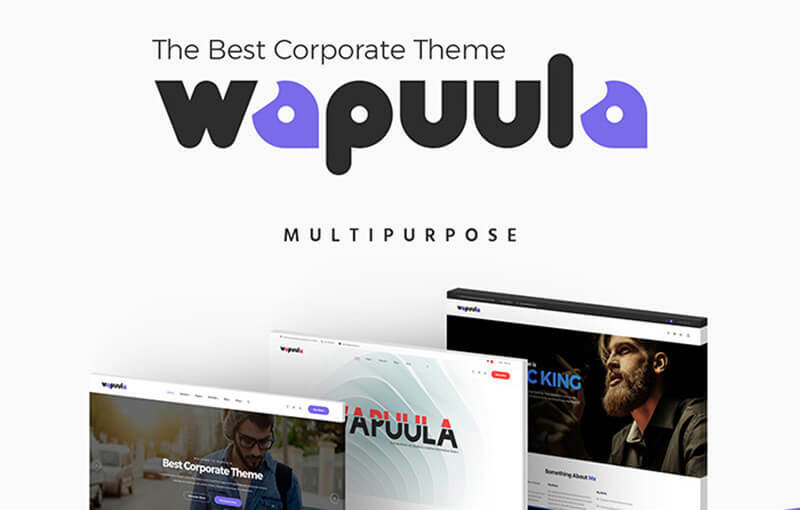 Wapuula comes alongside with an excellent Visual Composer page builder that simplifies the process of building new page layouts in half. Cherry Team Members will make your business look even more reliable in the eyes of others, while an easy-to-use Twitter Feed will help you to make a stir in social networks. Stand out of the crowd with the help of this fabulous theme! 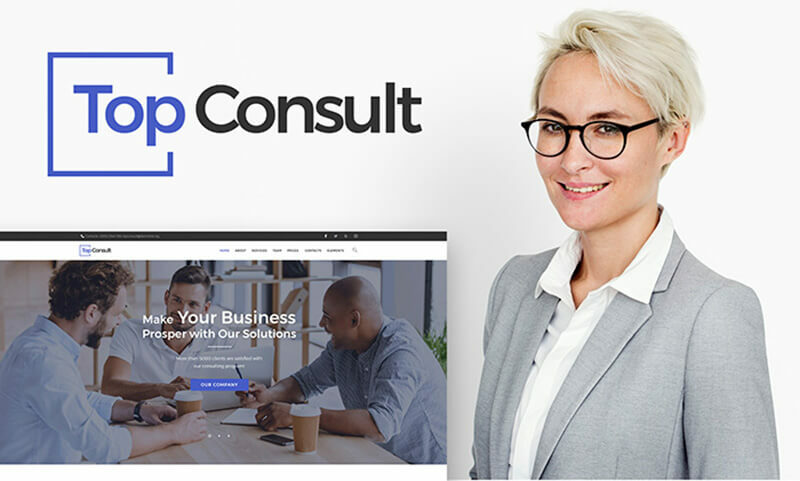 TopConsult is a grand solution that will help you to make and run a first-rate trustworthy website for your consulting company. It includes a great package of Cherry plugins as Projects, Team Members, Services List and Pop-Ups that will assure your potential clients to choose your services. 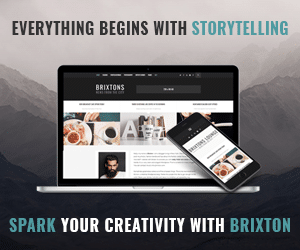 In addition to the outstanding functionality, you get an admirable design that can be changed up to your own taste thanks to a plenty of headers, footers and blog layouts variants. Be on the top together with this superb template! 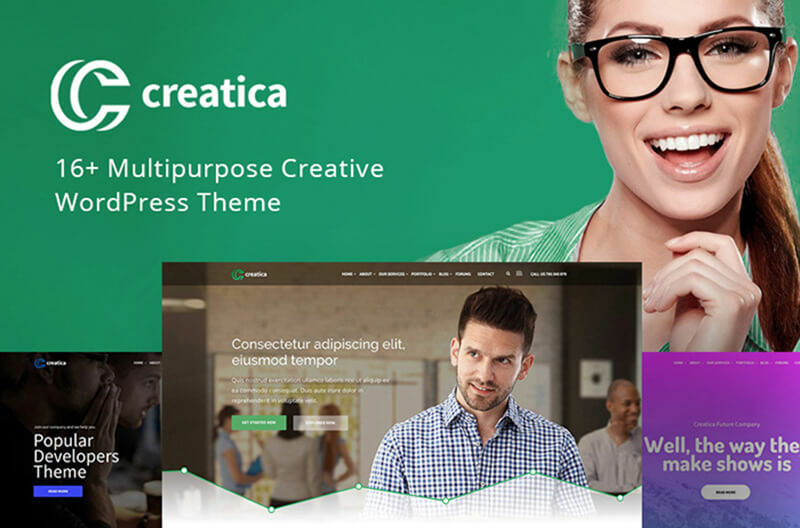 Creatica is a wonderful multi-purpose theme designed to make the most of the advertising of your company on the web. It comes together with a wide variety of home-pages that you can easily change by adding different sections or blocks to it. In such a way, you will definitely turn your website into something even more creative and unique. Everything can be done using Visual Composer page builder that will make you feel at ease during the customization process. Unlock the potential of your business with the help of this nice-looking theme! A trend-perfect and jaunty template that comes with a great number of features to help you build an out-of-the-box website. You get a great number of custom widgets that will provide you with a rich functionality of your future online-project. The design is made in the low-key palette of colors that looks even more agreeable thanks to a handwritten typography. As a joyful bonus, you get 15 topical images that will make your website look extremely stylish and modern. Set a bird of your talent free using this magnificent theme! 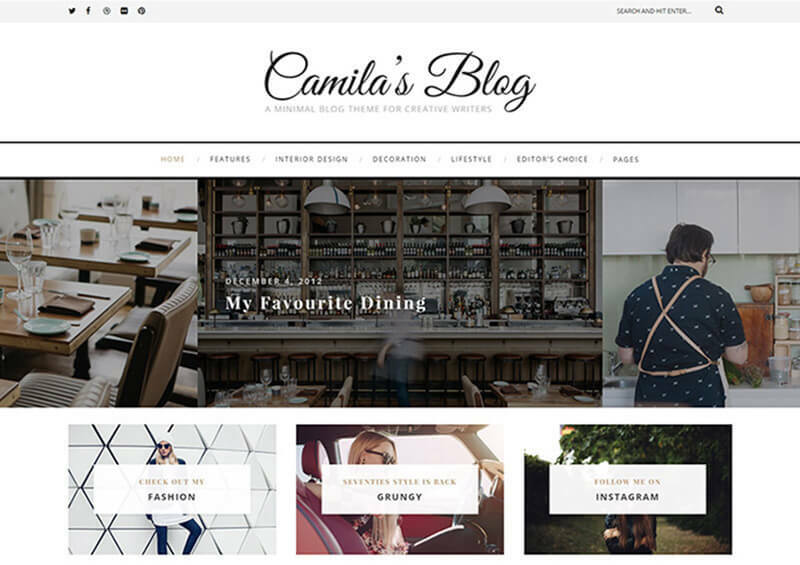 Camila is a minimalistic theme that will focus people’s attention on the presented content in a new york minute. It comes equipped with 6 home-page and blog layouts among which it could be very difficult to choose because each of them is unbelievably good-looking. In addition to this, you can experiment with color schemes. By the way, this template also includes 6 types of galleries: 2 kinds of the full-width one, 2 kinds of the boxed one, Instagram feed and video gallery. Fix your eyes on this theme right now and let your blog make waves on the Internet! If you think that the number of your clients has gone down, you definitely need to get a jaw-dropping website to make a name for your dental clinic on the web. 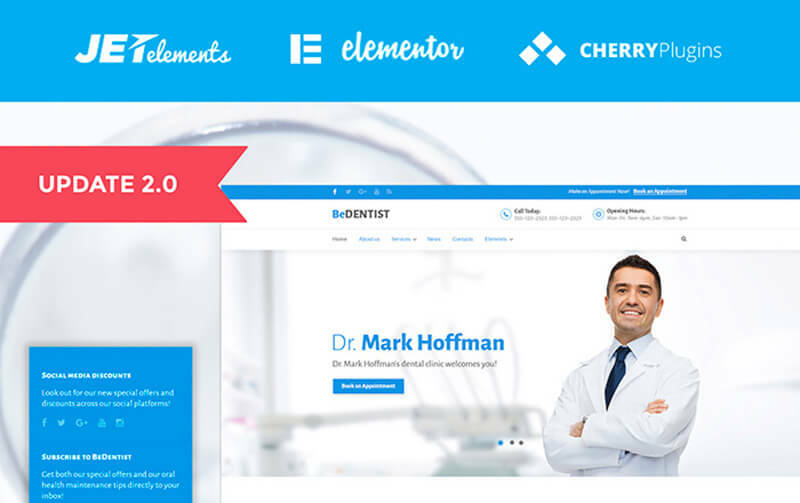 BeDentist is a starling theme that comes with an intuitive drag-and-drop builder that allows building your future online-project in a twinkle. In addition to this, a brilliant WordPress Live Customizer provides you with a chance to work with typography and color schemes without reloading the page to look at the final result. Be ahead of the game using this gorgeous template! 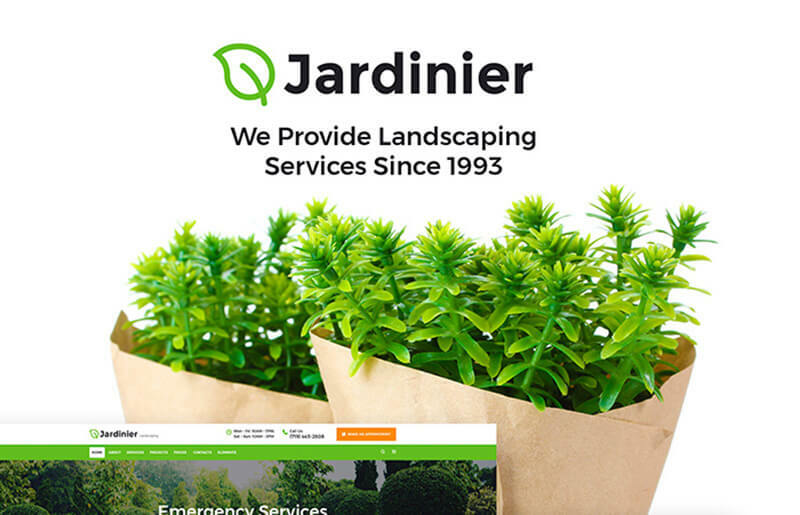 Jardinier is a bright and attention-getting template designed in the mixture of white, orange and greenish colors. It will definitely take only one glance to fall in love with your lawny website if you choose this theme to build it. In general, Jardinier comes equipped with over 35 widgets to help you create remarkable and eye-popping pages. Furthermore, you get a chance to present your services and team members in their best light thanks to various plugins. Recapture the atmosphere of your customers gardens with the help of this magnetic theme! 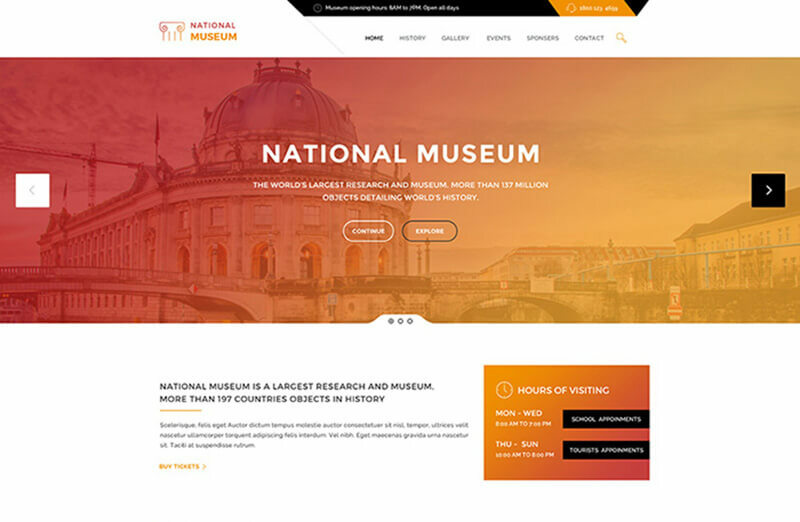 National Museum is an inspirational art & culture WordPress theme that will make people turn their attention to the historical past of the world. It includes various features that will make your website look absolutely splendid and sensational: impressive effects and animations, a big collection of elegant fonts, a powerful built-in MailChimp Newsletter, a colossal Revolution Slider and so on and so forth. In addition to this, you get an admirable gallery to present images at their best. Use this stunning theme to present your museum on the Internet and don’t allow your website to recede into the historical distance! It could be very hard to find more childish and full of mischief template made to present kindergarten or school online. 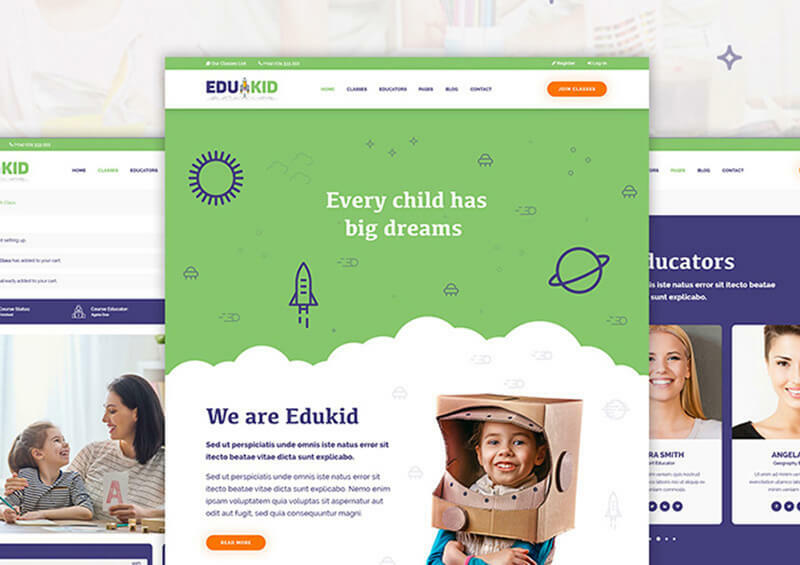 Edukid includes a wide variety of header, footer, blog, shop and contact settings. It means that you can turn its design into something even more distinctive and vibrant. Furthermore, you get a great number of custom widgets, multiple skins that come alongside with different color schemes. Make children’s dreams come true with the help of this spectacular theme! 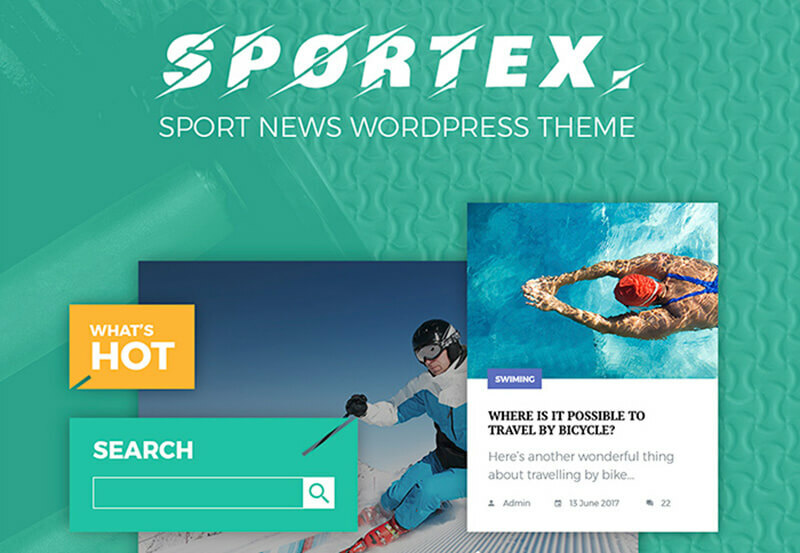 Sports news has never been presented in such an off-the-chart way as with the help of Sportex. This theme comes with a great number of tremendous features that will definitely be to the liking of the website readers. Using an advanced search, viewers have an opportunity to find what they are looking for by means of keywords. In addition to this, they can get the latest updates right on their emails thanks to a comfortable newsletter subscription. Make sports news even more exciting together with this stupendous template! A lot of people all over the world have a fancy for traveling. Tell them about the uncharted lands using this adventurous and engaging template. It includes everything essential to building a sapid blog presenting stories about your trips: 3 blog post types, 6 gallery types, and various home-pages layouts. Furthermore, you get unlimited color options and a wonderful selection of Google Fonts that can be combined into one single unity. 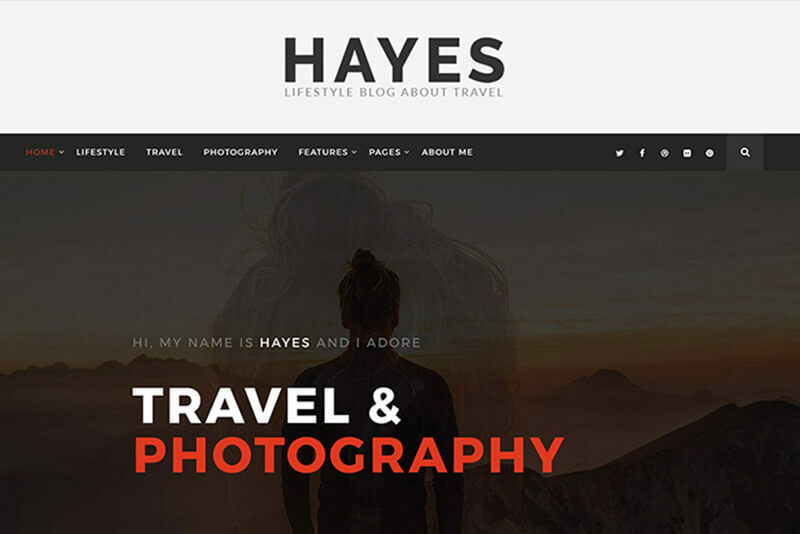 In order to make your website even more eye-catching, Hayes has a full-width page and sidebar page with a slideshow. Make people have a thirst for adventures with the adventures using this thrilling theme! Without a doubt, a vintage style still catches the eye of people throughout the entire world. Geraldine is an ultimate example of how a retro blog wins popular affections on the web. It includes a huge number of blog layouts that come together with amiable header and footer styles. In order to simplify the process of customization, this theme comes ready with an easy-to-use WordPress Live Customizer that won’t work your nerves at all. 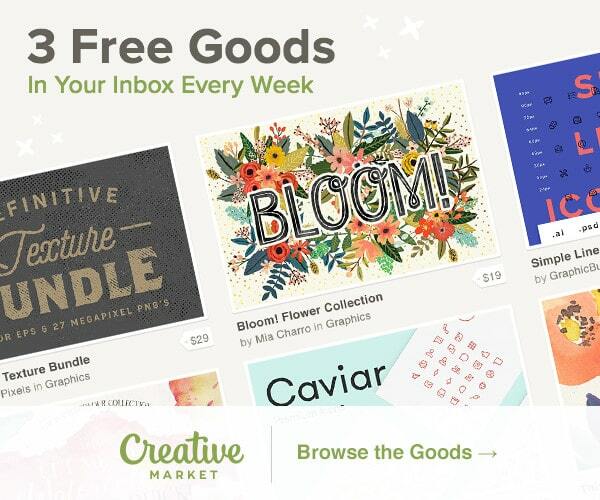 In addition to this, you get a lot of social options, a newsletter subscription, and various tags. Win the Internet using this lovely template! If you’re a person who cares for wild animals and their protection, you definitely need to spread your inspirational ideas online. This theme has everything that you need to assure people to get involved in such a movement. 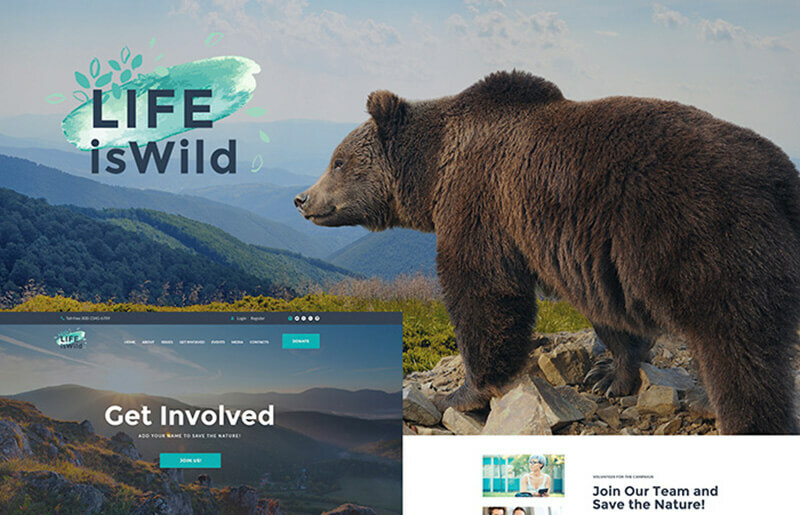 Life is Wild comes with an amazing Power Page Builder that allows you to build various layouts and fill them with your call-to-action texts. Furthermore, you get a pack of Cherry Plugins that will make people trust in your attempts to save the nature. Fight for the planet with the help of this endearing template! As you know, technologies change and develop every single day. As a result, bitcoin has become something extremely popular and widely-used. 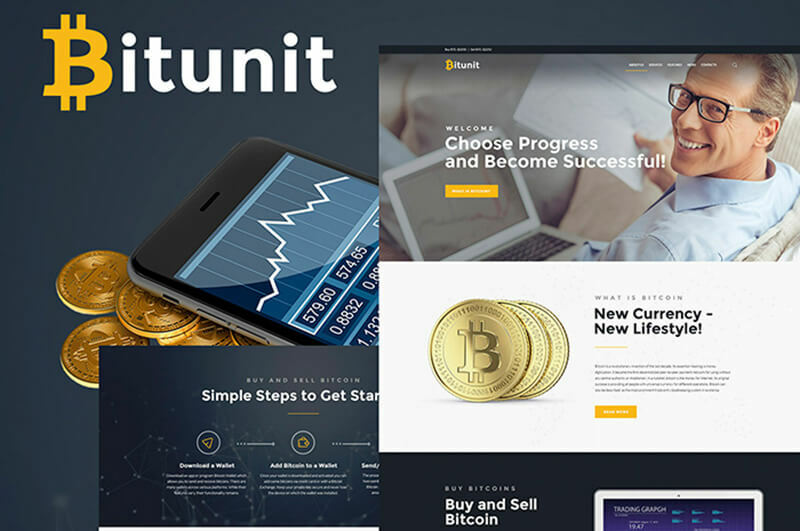 Bitunit is a great tool that will assist you in building a comfortable and functional bitcoin sell and buy. In order to help you create a unique website, this theme comes together with different header and footer layouts. Make your website extremely rich using this luxurious theme! Hive is a well-favoured design & photography WordPress theme designed for genuine creatives who want to share their ideas with others. In order to present your talent in its best light, this template includes 4 different project pages and 3 various portfolio layouts that are absolutely distinct from each other. In addition to this, you get 61 elements that can be placed on a grid. Gain a full control over your website with the help of this crafty template! Wicon is a mind-bending theme that will help you to present any innovation in an exciting way. Alongside with this template, you get a powerful drag-and-drop GT3 page builder that will assist you in building various page layouts. Moreover, you get a starling Instagram feed that spreads the word about your breakthrough on the social network. In addition to this, you get spectacular animation and revolution slider to make your website look even more attention-grabbing. 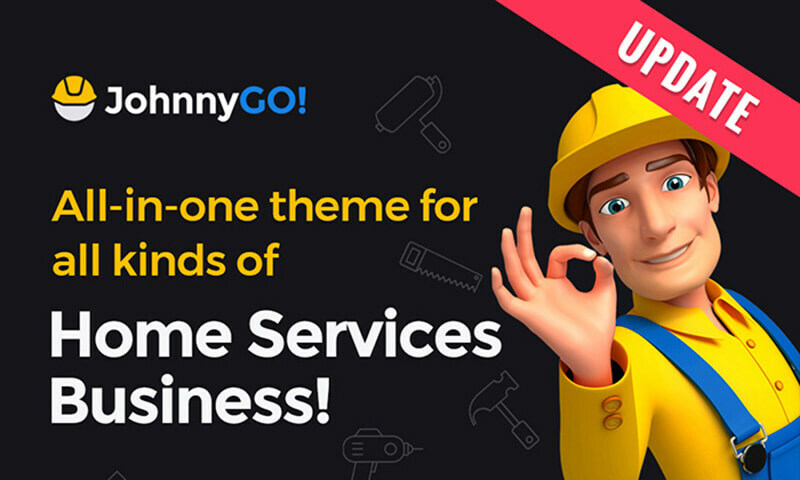 Present your business in the most innovative way ever using this unique theme! A wondrous template which name is speaking for itself. Perfect is nothing but an ideal variant to present your company on the web. It comes with a package of 10 header top styles and 12 header main menu styles. You can easily play with their design and build something that stands out of the crowd of other websites presenting the same business as yours. Furthermore, every change in the website look can be done with the help of the King Composer Page Builder. Create a perfect website for your corporation with the help of this five-star theme! 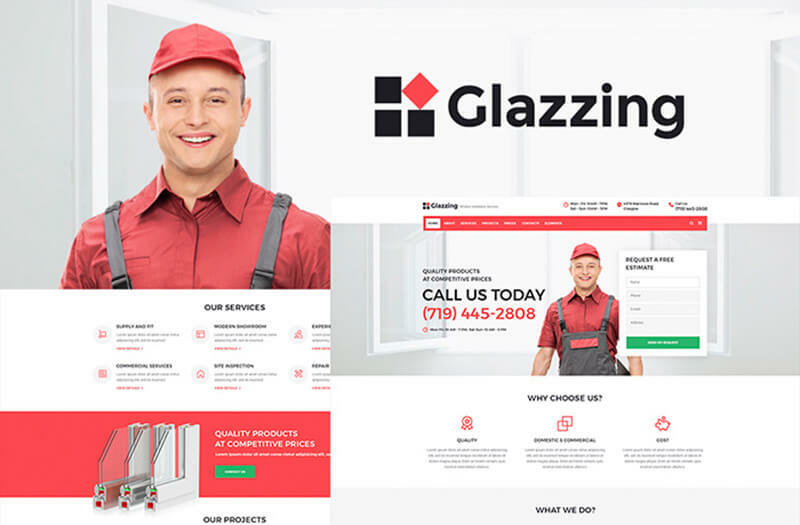 Glazzing is a marvelous template designed to present your window installation services spiffed up. In order to make your services look reliable and trustworthy, this template comes with product badges, countdown timers, and star rating. In such a way, they can easily fix their eyes on your goods. Additionally, you get an opportunity to make changes in the design using a stunning Elementor page builder. Finally, your customers can leave some feedback on the website and, thus, convince other of the high-quality of the provided services. Make everyone stare at your website using this striking template! To sum up, we would like to say that WordPress is the perfect variant for various kinds of the website. It’s considered to be an ultimate tool for those who want to create either blog, corporate website or a site presenting various helpful services. By the way, we’ve already mentioned about TemplateMonster’s marketplace, but if you want to find out more, you can simply click on this link and download free book that consists all essential information about it. May at least one of these themes bring your business to the next level. Thanks for reading!